Hugo Palmer and Erwan Ferrieux have been missing since Monday, February 18. HOPES are fading for two young backpackers, who haven't been seen since their towels, phones and wallets were found on a beach in northern NSW three days ago. Police announced they would be scaling back their search around Shelly Beach near Port Macquarie this morning after spending the past three days combing the coast, water and surrounding areas. 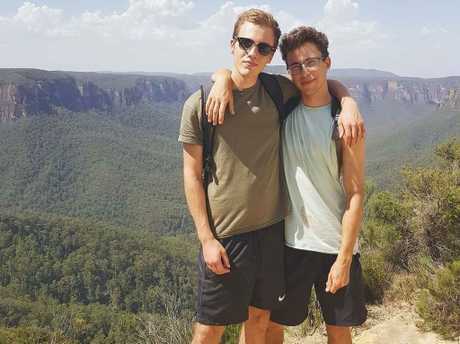 Hugo Palmer, 20, and Erwan Ferrieux, 21, haven't been seen since passers-by discovered their belongings at the popular beach on Monday around 6.30am. Their rental car, a silver Holden Commodore, was found in a nearby car park with a number of other belongings - including travel documents - still inside. One local claims to have seen towels and gear belonging to Mr Palmer and Mr Ferrieux on the sand late on Sunday afternoon, raising questions about when the pair arrived at the beach. A ground and water search involving police divers, Marine Rescue, SES and others resumed on Wednesday morning but was scaled back in the afternoon based on the advice of experts. Today's search is likely to be limited to a few routine sweeps of the coast and foreshore. Authorities now have little hope of finding the men alive. Yesterday, police Inspector Peter Neville said a family member of one of the men had arrived in Australia and was being "realistic" about the chances of finding the pair alive. Mr Palmer's aunt Lorraine Tilling said the family were stuck in a "living nightmare" since hearing the news. The 20-year-old flew to Australia on November 1 and had been posting pictures of his Aussie trip ever since. "He was having an absolute ball, it really was the trip of a lifetime," Ms Tilling told the Daily Mail. "He kept sending us the most fantastic pictures, Australia is beautiful and we were so excited for him. "This is just a living nightmare for us, it's a really hard time...He's our little star and we just want him back safely." 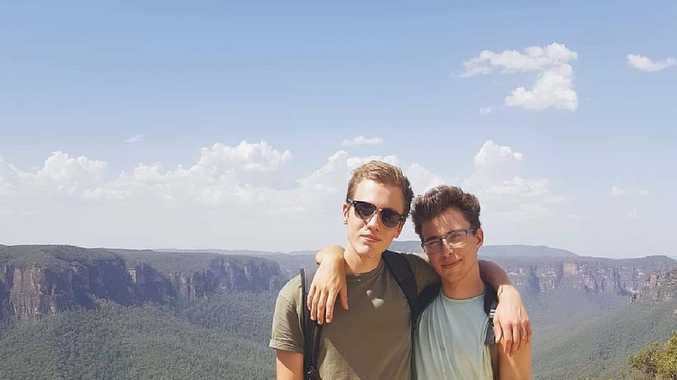 Hugo Palmer (left) and Erwan Ferrieux posted pictures of their travels around Australia. 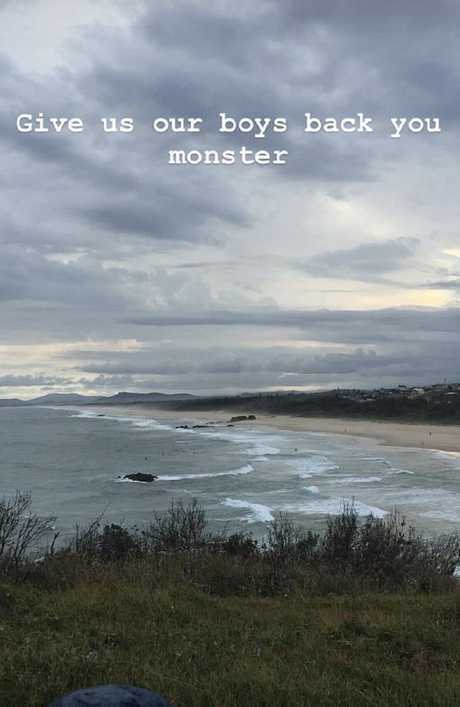 One of the girls, Caraa Blackburn, shared a photo of Shelly Beach to Instagram story late last night. "Give us back our boys you monster," she wrote. Mr Palmer, an Englishman, and Mr Ferrieux, a Frenchman, have been close friends for years, according to their Facebooks. NSW Police have been communicating with both the British and French consulates. Locals said Shelly Beach looked "messy" on Sunday afternoon, the time police believe the boys went for a swim.